New American Girl Campaign Taps the Positive Power of Girls | Mattel Inc.
To foster a spirit of goodwill and help make the world a brighter place, American Girl is introducing Shine On Now--a new charitable initiative that harnesses the collective power of girls to help others in need. Through Shine On Now, American Girl is calling on girls across the country to help the company give up to $1 million in clothes, books, dolls, and money to the following four organizations: Kids in Distressed Situations, National Association of Children's Hospitals and Related Institutions, National Wildlife Federation, and Save the Children. Beginning June 28, 2010, girls can become official American Girl Ambassadors at shineonnow.com and inspire other girls to join the Shine On Now effort. As ambassadors, girls will receive a free, downloadable tool kit filled with fun and actionable tips and ideas for fund-raising, volunteering, or donating to the four worthy charities participating in Shine On Now, or wherever they see an opportunity to make a difference. On July 13, 2010, girls can go to shineonnow.com and put their collective efforts to powerful use. Visitors can contribute up to 100 free stars each day to help American Girl reach its goal of collecting one million stars by the end of the program on July 31, 2010. If the target is reached, American Girl will donate its maximum gift of $1 million in clothes, books, dolls, and money to the four designated charities. To further encourage girls to let their spirits shine, American Girl is also launching a brand-new virtual campus, Innerstar University(TM)--a fun, safe online world where girls learn to be their best through a variety of games, quizzes, and other enriching activities that help boost their confidence and strength. Access to the new virtual world comes with each 18-inch My American GirI(TM) doll--the company's newly enhanced contemporary product line that allows a girl to create a special doll as unique as she is. 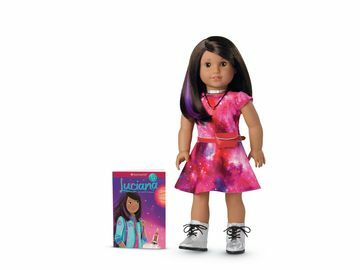 Girls can now create their own doll from 40 different combinations of eye color, hair color and style, and skin tone through a brand-new, innovative online tool. The personalization continues with a variety of special extras such as braces, glasses, and earrings, as well as outfits and accessories that reflect girls' favorite interests and activities. 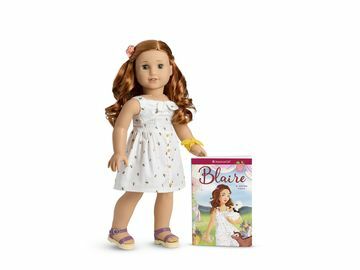 To further enhance the doll's personality, each My American Girl doll comes to life at Innerstar University, where girls and their online doll can have fun exploring the virtual campus together. To learn more about how to participate in Shine On Now and explore Innerstar University, go to www.shineonnow.com. My American Girl dolls are available starting on July 13, 2010, through American Girl's consumer catalogue, at www.americangirl.com, and at American Girl retail locations. To request a free catalogue, call 1-800-845-0005.